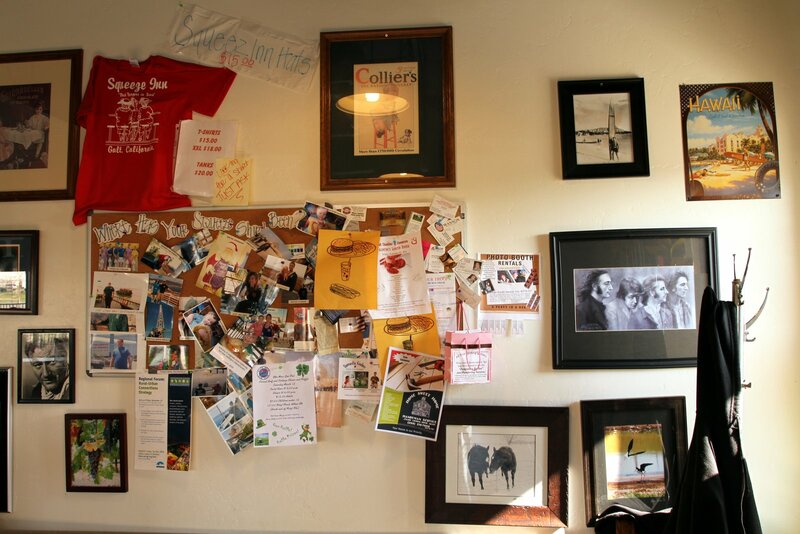 This was one of those wondrous days where I set off for a burger joint just for the purpose of writing a review. My pallet was cleansed, my trusty camera was packed, and I was off on a burger excursion to their Galt location. 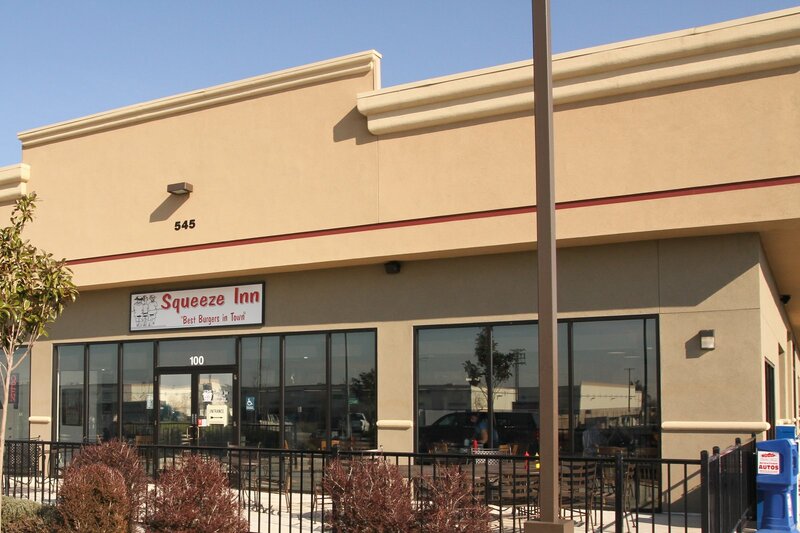 The Galt version of Squeeze Inn is MUCH bigger than their original Sacramento location. There were a good amount of seats outside and the inside had several tables as well as a bar area if you wanted to pull up a bar stool and eat facing the kitchen area. My french fries came out first and at first look, I thought they were overcooked. I think I may have been used to the blanch white look of skinny fries. 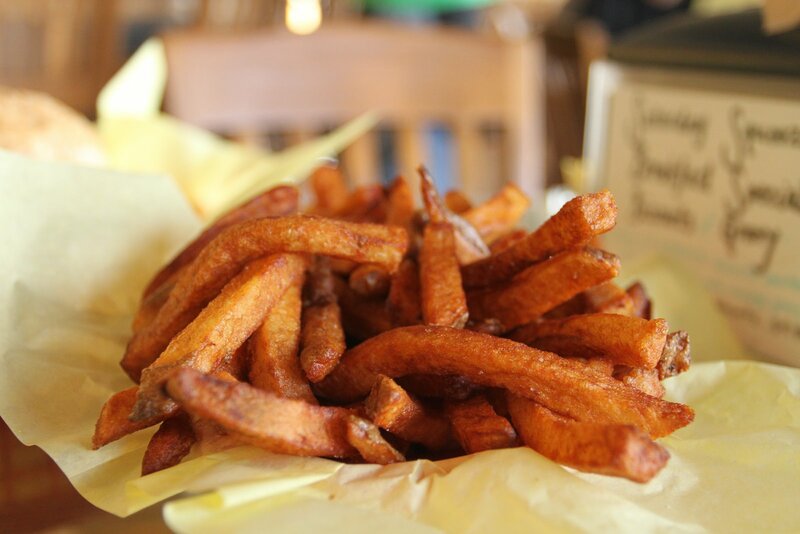 After taking the first bite though, I quickly realized that these hand cut, skin on french fries were cooked to perfection. Crispy on the outside, chewy on the inside, and the potato-y flavor came through even with after multiple dips in ketchup. Squeeze burgers are ? patties made with 100% fresh ground beef and topped with pickles, lettuce, tomatoes, red onions (yay! ), white onions, mayo and mustard on a steamed sesame seed bun. What the menu description doesn’t tell you is the secret B factor that comes with each cheeseburger. I ordered the Squeeze with cheese, bacon and mushrooms and it arrived looking as formidable as I remember. 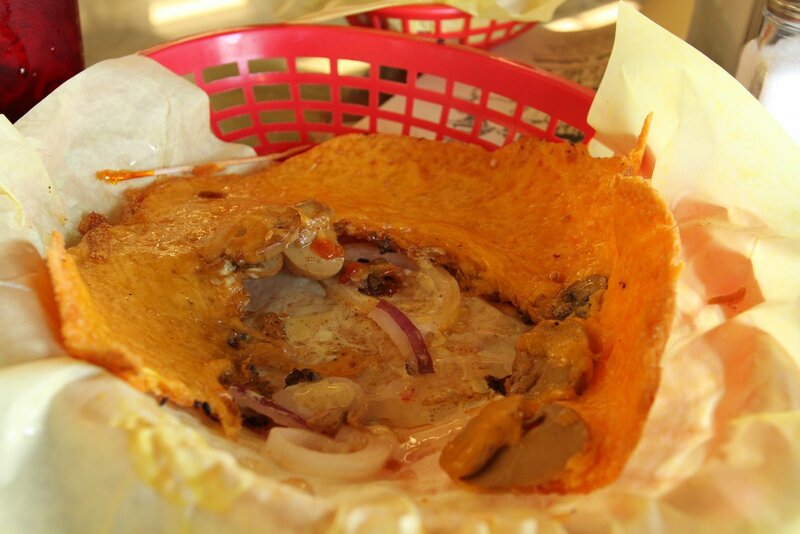 The cheeseburger comes out in a standard red woven plastic basket and if you look at it from the top down, it looks like the burger is wearing a massive flowing yellow cheese skirt. Yes, I said a cheese skirt. As if to extend the metaphor even further, the burger sits atop a few dainty sheets of yellow paper that seems to act as a slip to give the burger cheese skirt a bit more modesty. When viewed from the side, my bacon and mushroom ingredients looked like they had been caught by surprise in the lava of a cheesy Pompeii-esque eruption. This is one of those burgers where you seriously have to formulate your plan of attack before digging in. Will you break off the cheese formation circling the burger and put it on top of the patty? 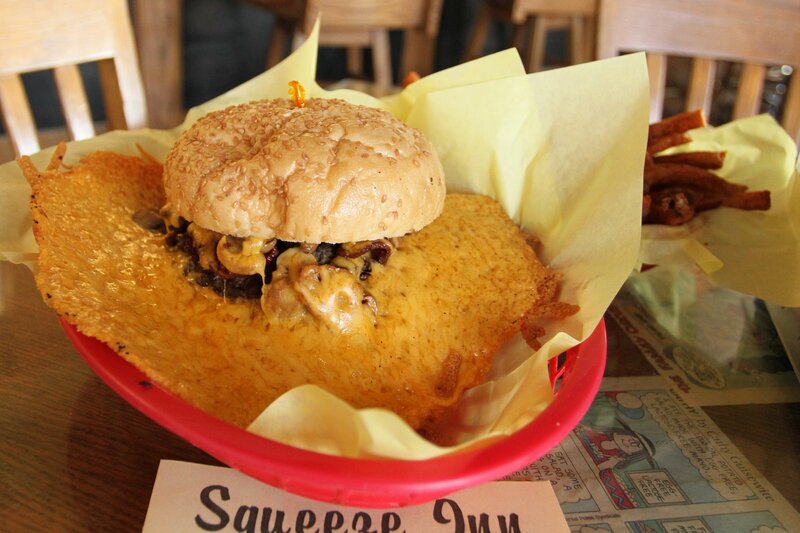 Will you dive straight in, eating as much cheese, bun and beef as you can get in your first bite? Save the cheese skirt for an after burger snack? It’s like a choose your own adventure meal! Once I dug in, I noticed the burger was cooked a little more “well done” than I usually prefer. I’m not sure if you can request the burger be cooked medium at Squeeze Inn, but I think I may give it a shot on my next visit. 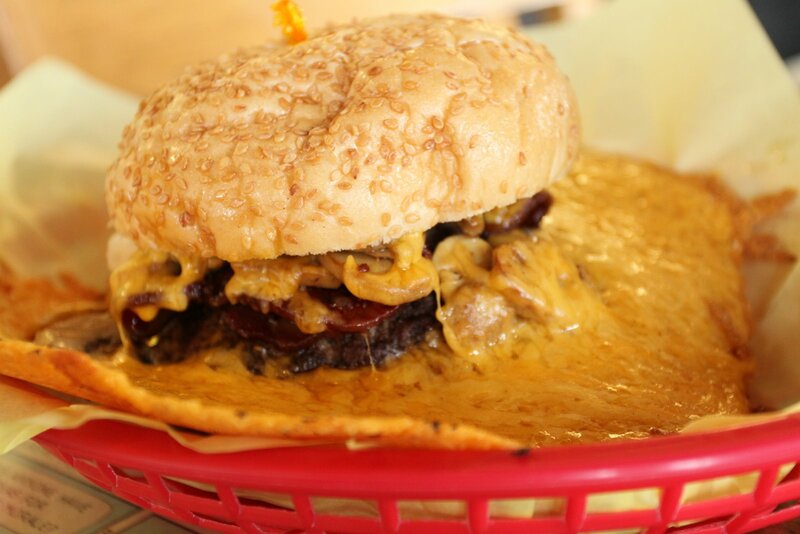 The pickles, tomato, onions, mushrooms (and of course cheese) all worked together to keep the overall burger juicy and flavorful. The bun was super soft from the steaming and held the burger together nicely throughout the meal. 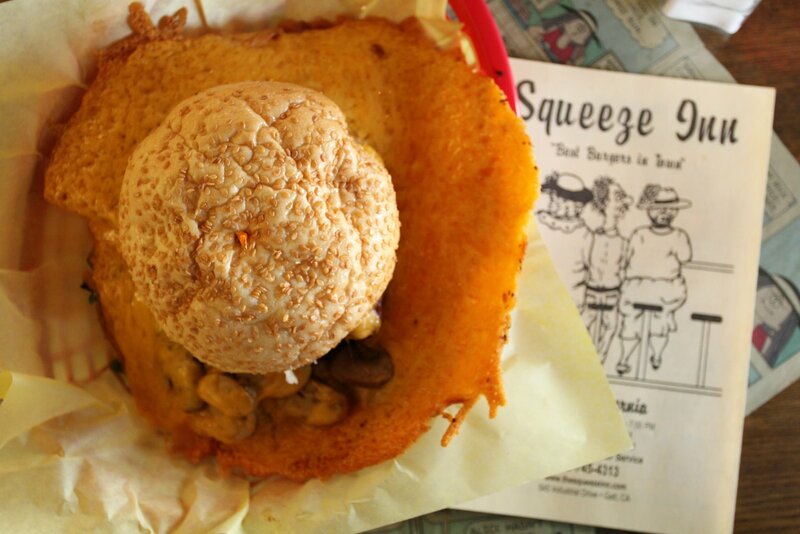 The Squeeze Inn cheeseburger is truly something you have to experience in person to truly appreciate. Although the burger patty was cooked a little more than I would have liked, the toppings were very fresh and the cheese skirt earned this burger extra B Factor points for a memorable burger eating experience. Since this restaurant also serves breakfast, I think a fried egg version of the Squeeze burger would be a nice addition to the menu. This time I opted to leave the skirt for an after-burger-snack, next time it’s going right between the buns! Great review! The cheese skirt scares me. I need to face my fears though. Haha The huge photos get a BIG thumbs up! Hey Ross, embrace the cheese skirt! :) I didn’t end up finishing the whole skirt, but it’s definitely worth the trip to check out the whole experience. The Squeeze is an hour away from home but whenever I’m in the area it’s well worth the diversion. If you watch the process – it’s also cooked with ice! Hey Mike, I’ve been known to drive over an hour for a good burger :) You’re right though, this one is a worthy diversion anytime you’re near a Squeeze. I’m hoping next time I go there I can get a video of the magical cheese skirt creation process! it looks so cool! definitely unique. Love the cheese skirt! 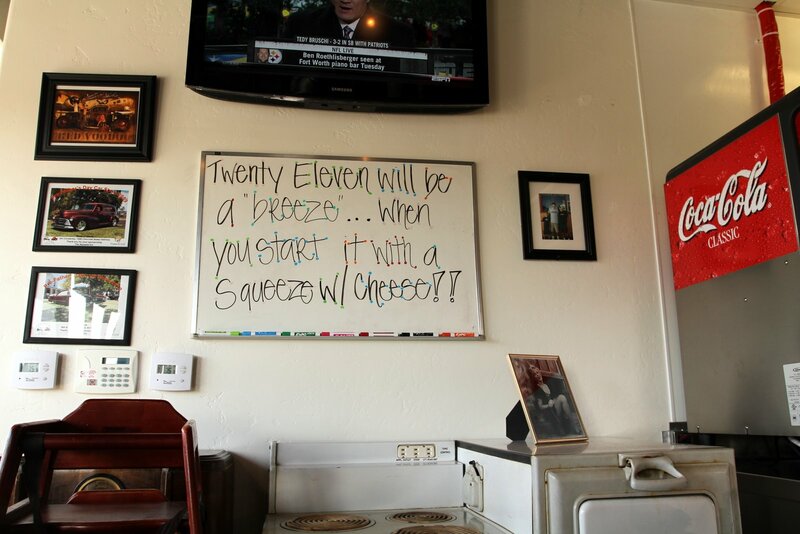 The Squeeze Inn is one of my favorite burger joints in Sacramento! I’m sure a lot of people miss their old location before they moved to Power Inn, but I definitely prefer the parking at the new location. It’s still not that close, but it’s worth the drive. Man that looks awful! I am not sure what all the praise is about. @Slick Willy Thanks for the feedback. 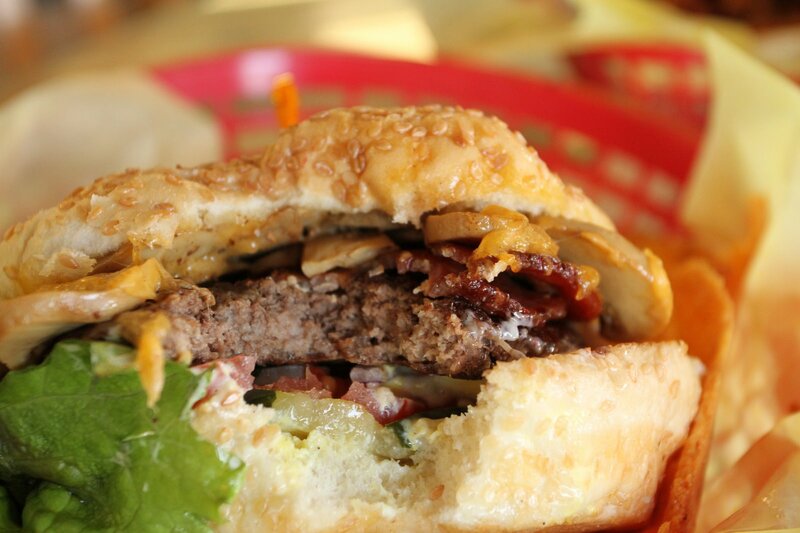 As for the looks…everyone has different ideas of what makes a beautiful burger. Got any recommendations that are praise worthy?